Guitar legend Carlos Santana, has announced plans to bring his “The Transmogrify Tour,” to the United States this summer. The tour will kick off after a spring tour of Australia, New Zealand and Japan, with a two night stay June 23-24, at the Chateau Ste. Michelle, in Woodinville, WA, and conclude on Sept. 11, at the House of Blues in Anaheim, CA. “The Transmogrify Tour” will make stops in eighteen different cities across the nation with two stops in New York, Aug. 5, at the Bethel Woods Center for the Arts in Bethel, and Aug. 18, at CMAC in Canandaigua. New Yorkers can also make a quick road trip to the Mohegan Sun Arena in Uncasville, CT on Aug. 19 and Aug. 20, at the Borgata Spa and Resort in Atlantic City, NJ. 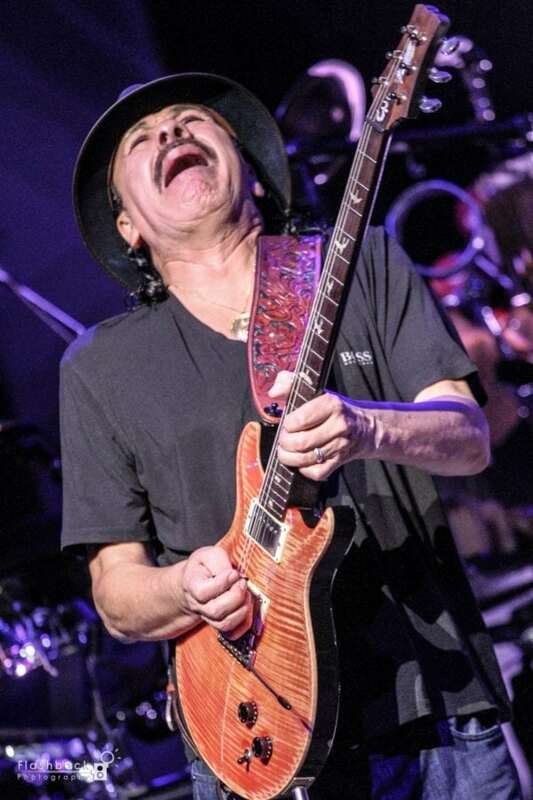 Santana has won 10 Grammy awards throughout his career, including Best Rock Instrumental Performance (1988) for “Blues Of Salvador,” Best Rock Album and Album of the Year (2000), for Supernatural, and Best Pop Collaboration With Vocals (2002), for “The Game Of Love.” He has been voted one of the top 20 greatest guitarist of all time by Rolling Stone.